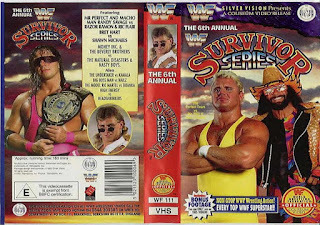 In the 30 year history of Survivor Series, there have been some good ones and some great ones, and as you saw on the previous article, some bad ones. 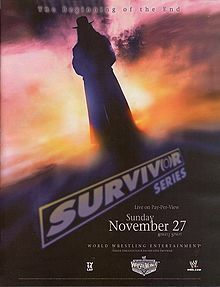 Today, we are going a more positive route looking at the best Survivor Series events. Let's get into it. -This particular Survivor Series was interesting. Some of the matches weren't bad, and then there were a few matches that missed the mark completely like the opening contests. However, the Undertaker vs Mankind match was solid, the Sycho Sid vs Shawn Michaels match was exciting though lacking, and the match of the night was amazing. Bret Hart vs Stone Cold Steve Austin was a true classic and in my opinion, it's a better match than their WM 13 contest, as it was straight up wrestling and didn't need weapons or stipulations to enhance it. Overall, this was a good show, just not good enough to make the cut. -This event had a lot of great moments. Orton vs HBK was a great match, the Elimination matches were pretty solid, and the Hell In A Cell between Batista and Undertaker was one of the more entertaining matches of the year. -This one is interesting to me because the match format of the Elimination Matches was different. The teams weren't heels vs faces, but rather a mix of each on every team. Those matches were pretty good and I really enjoy the Diesel vs Bret Hart match, as it started the Diesel heel turn and gave Bret the title back. -This event was one that tends to go under the radar. I liked the Cena vs Angle match, though the ending was a bit funny. Triple H vs Flair was also a really good match, and the 5 on 5 RAW vs Smackdown match was really a good one. Overall, the event was good, the only downside was Vince saying the N-Word. -Despite the main event of Warrior and Savage vs Flair and Razor not happening as planned, I enjoyed the match for sure with Perfect and Savage together. On top of that, the classic Bret vs Shawn match remains my personal favorite match between the two. A solid event overall. -This event is usually seen as having the greatest 5 on 5 Match in the event history, and that is correct. Other matches that were great would be the Dudleys vs Hardys tag team match, but the match that was really great is the match everyone references, the Elimination Match. The Alliance angle got a lot wrong, but they got this right at least. The match is epic and features some of the exciting moments of the year 2001. 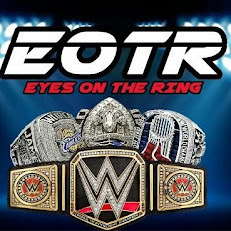 -This is absolutely the best event and one of the greatest events in WWE history. The show from start to finish is amazing, from the Scott Steiner debut to the opening 6 man tag table match to the Triple Threat Smackdown Tag Team Match, which is my personal favorite of the night. The Elimination Chamber match debuted here, with HBK, HHH and Jericho putting on great performances, and it was a great moment watching HBK win the title in MSG. 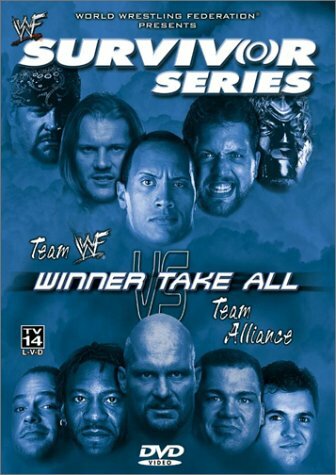 This event is hands down the greatest Survivor Series ever.